Born and raised in Osaka and Nara, Japan. Mariko has settled here in Vancouver, Canada. Her work has traveled all over the world for solo and group exhibitions. 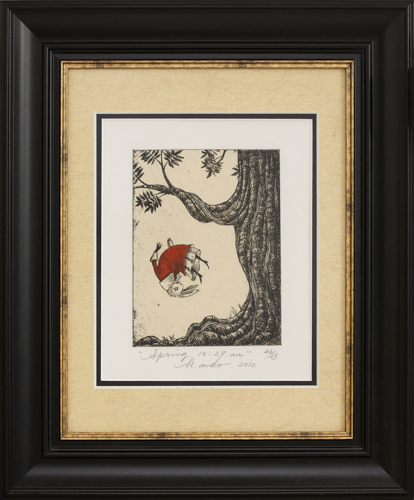 Her work features a story book character about them, lovely pen, ink, and printmaking images. You can view more of her work here.